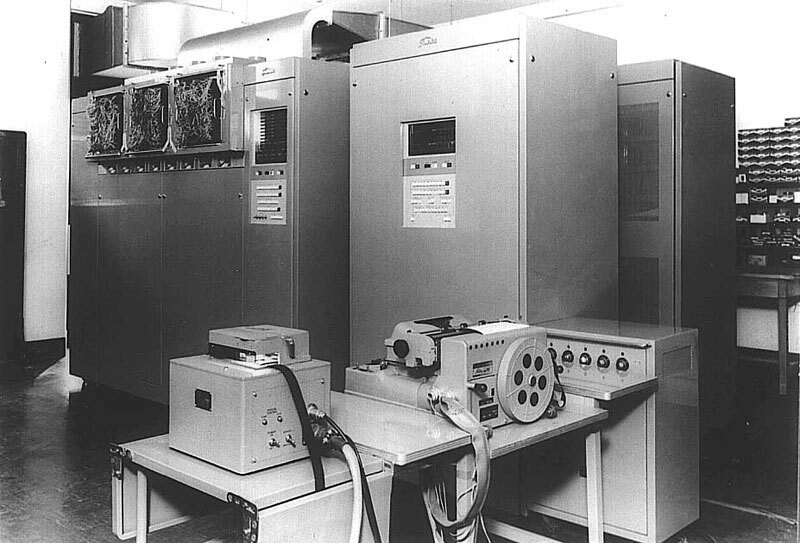 This machine was developed in 1961 through joint research by Kyoto University and Tokyo Shibaura Electric, and was Japan's first computer using a true microprogram system. The opportunity for this joint research arose when Hagiwara Hiroshi, a professor in the Faculty of Engineering at Kyoto University, sounded out Tokyo Shibaura Electric about joint research on an "electronic computer employing a new system". In development of the KT-Pilot, priority was placed more on establishing the microprogram system than on achieving a practical system, and the development clarified methods of rewriting microprograms and increasing their speed. These results were announced jointly by Hagiwara (Kyoto University), Amo, Matsushita and Yamanouchi (Tokyo Shibaura Electric) at the IFIP held in Munich in August 1962.